You must be a member of the Istanbul Book Group to attend this activity. Would you like to join this group? 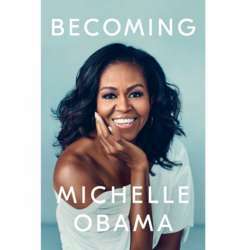 For our February meeting we will read and discuss "Becoming" by Michelle Obama. "Becoming is never giving up on the idea that there's more growing to be done". Let's read and discuss one of the most sold books of Protected content . We will meet in a cafe in Kadıköy, the venue will be announced a few days before the event. As always please only click on attend if you are actually attending the event, we need to know how many people are coming to be able to make a reservation.